This dress, cut from fluid silk georgette, is a romantic option for the season. 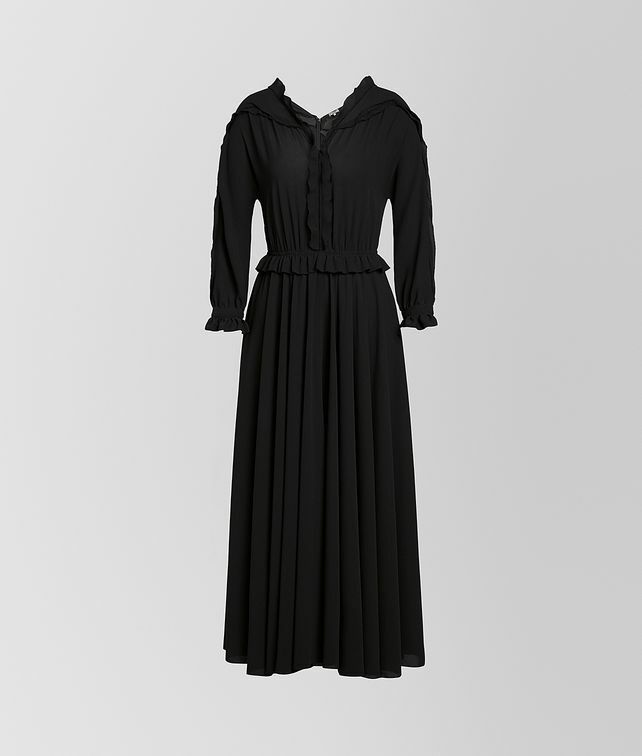 It has long sleeves, and a hem that hits at the mid-calf. Delicate ruffles run along the seams and decorate the v-neckline, sleeve cuffs, and help to cinch the waist.